The One, the Only and the Original Grasshopper Trap! 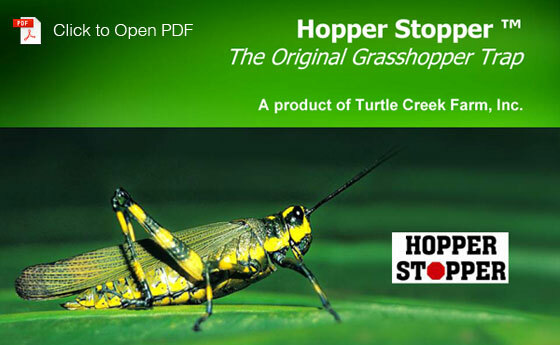 Hopper Stopper is a proven solution to help reduce mature grasshoppers in flower and vegetable gardens. It is completely safe and chemical free and does not require bait of any kind. Hopper Stopper is perfect for organic and chemical-free gardening and has a sturdy construction that will last forever. 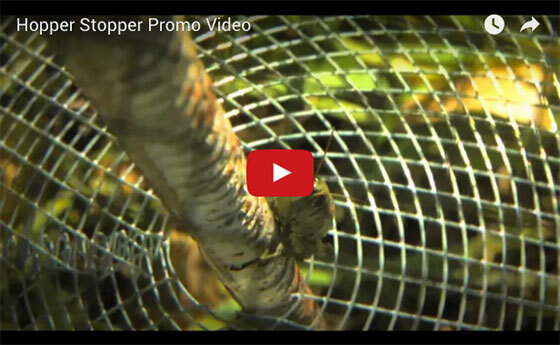 To understand how HopperStopper works, you need to understand grasshopper behavior. The nature of a grasshopper is to climb up to feast on vegetation and then jump down after feasting on plants. Watch the buggers in your garden, they eat their way up and then hop down! Hopper Stopper's special design encourages mature grasshopper to crawl upwards into the trap via a garden stake inserted into the ground. When they go to jump down, they get stuck in the trap. Grasshoppers don't know or just aren't smart enough to climb back down. That's grasshopper nature! Assemble the trap by simply attaching the two halves of the trap together using the clip supplied with the trap. 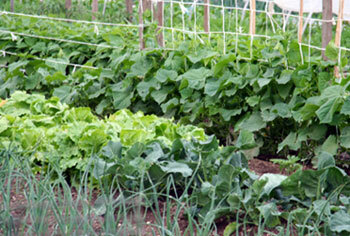 Take a bamboo pole or ordinary garden stake and push it into the ground near the plants you want to protect. Set the height of the pole so the mid-point of the trap is level with the vegetation. As plants grow, the stake should be made taller, to catch the optimal number of grasshoppers. We do this when we are out picking or watering. 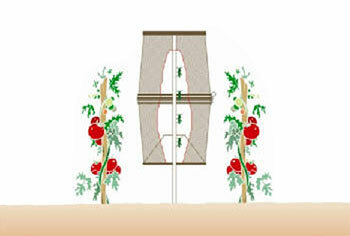 Multiple traps can be used around the garden and moved easily to plants being targeted by grasshoppers. When the grasshoppers die, simply unclip the lid and throw the dead grasshoppers in the trash or compost pile. If all of the grasshoppers are not dead, submerse the trap in a bucket of water and dispose of the grasshoppers once they die. Put them in your bird feeder. Watch the birds fly off to feast on them. Feed them to your ducks or chickens. This is our favorite form of entertainment. Use them to bait a fish hook. Save money on bait. Case dimensions: 10" x 10" x 20"
Turtle Creek Farm, Inc.(TCF) is a Nebraska Corporation located in Springfield, Nebraska, just outside of Omaha. It is a family owned business, with me (Jenny Christensen) doing the marketing and my husband (Kurt Christensen) doing everything else from taking orders, answering questions, shipping and accounting. We are avid vegetable and flower gardeners and hosts to the "Bamboo for Nebraska" project, with a greenhouse dedicated to growing mountain bamboo in Nebraska. TCF is also home to our New Forest Ponies, "Rex" the dog, and our three (plus numerous visiting) cats. 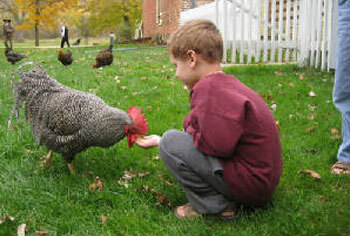 We raise ducks and chickens – our family flock – for the eggs and entertainment they provide. Check out our chemical-free solution for keeping livestock water tanks clean at www.stocktanksecret.com. To help people like ourselves solve everyday problems. To protect the environment with chemical-free, organic solutions. Our company was started because we wanted to help livestock owners and gardeners like ourselves solve common everyday problems. We care about the health of people, animals and the environment and always strive to use organic, natural, or chemical-free solutions in our products. ©2016 Turtle Creek Farm, Springfield, Nebraska, Usa.